Developed just for Sur La Table in Pittsburgh, PA, by USA Pan, our commercial-quality loaf pan meets the highest standards for performance and durability. Each piece in this set is constructed with the same features found in the best pans in the industry. Thick aluminized steel offers superior heat transfer, corrosion and rust resistance, and excellent durability. Each pan’s thickness is based on years of performance data to deliver perfectly even heat distribution and a lifetime of use. Steel wire is added to pan rims for extra strength and resistance to warping. Unique fluted design with corrugated construction maximizes strength and impact resistance, and resists warping and denting that can occur with use. Textured surface allows airflow under baking food for beautifully even overall results and easy release every time. In addition, our eco-friendly nonstick silicone coating is specifically formulated for baking and contains no PTFEs or PFOAs. The most advanced coating available, no other surface releases food and cleans up more easily. Care: Hand wash with warm water and mild detergent using a sponge or nylon pad. Rinse and pat dry thoroughly. Use only silicone, nylon or wooden tools. Do not cut in the pan or use sharp metal utensils. Do not heat beyond 450°F. Wash before first use. Best bread pans I ever had. Why did I wait so long? Do not put in dishwasher, the surface will spoil. I bake bread and this pan is by far the best I have used. 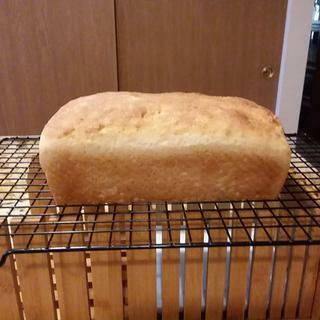 We just started baking bread, and we thought it would take a lot of trial and error before we got good results. It didn't, and one of the reasons is these loaf pans; they cook so evenly, and the bread just slides out. Ended up getting some for my sister as well, and she loves them. They feel like they will last a long time. I have had different loaf pans but this one is so durable and whatever I make in it comes out well formed. I have made King Arthur Flour's recipe for English Muffin Toasting Bread in this pan several times already. I have tried all kinds of pans including glass and other lighter weight metal pans. The bread just slides out of this pan and is always evenly browned. I bought another pan after using the first one a couple of times so that I can make 2 loaves at once and give some to friends. I have also made banana bread and it pops right out also. You get what you pay for and this pan is so worth it. I highly recommend it if you are considering buying it. These are, hands down, the best bread pans out there. Nothing sticks. Not even sugary cinnamon swirl bread or sticky banana banana bread. They heat beautifully and evenly. And they are a dream to clean because nothing sticks. Just a quick hand wash and air dry. No not leave them soaking (there is no need anyway) or sitting in water, and do not put them in the dishwasher. That’s how rust happens. The cake pans are also fantastic, by the way. I love the quality of this Professional line that I have been replacing all of my baking pans. LOVE them. I purchased this as part of a set. The very first time I used it, it leaked all over my oven. The seams in the corners are not tight, so the pan has very limited uses. This pan is amazingly well constructed with its weight and smooth edges as well as its remarkably good non-stickiness. I recommend it without reservation! I make loaf bread on a regular basis and generally make two loaves for all the children running in and out of the house. the loaf made in the ridge less pan always sticks in some corner, the one in this pan comes out with ease. Well worth the investment. Perfect for Gluten Free Loaves! This pan is amazing. It heats evenly and the loafs just fall out when you're done. No greasing (not even the bottom! ), no wiggling around the edge with a spatula to get it out, bread just slides out. Cleanup couldn't be easier, you hardly even need to wipe a sponge over it. I have the muffin tins of this line as well and they are equally amazing. I've now made several loaves of my favorite pumpkin bread in this pan and the results are perfect every time. Even heat and clean up couldn't be easier. Have had this and other pieces of this bakeware collection for months and never experienced rusting as the other reviewer mentioned. I never actually got a chance to USE any of the pans I received because every single one of them RUSTED after the first wash! I received 4 pans (loaf and round cake) as wedding gifts and all 4 pans rusted on the underside of the rolled edge. My Mother's sticky date bread slipped right out of this pan without any prior preparation. know this line; great price. I make a lot of bread and I am slowly replacing my Bread pans. love these pans- use them all the time- thought they would make a great gift! Sent as a gift to make banana bread in. reviews said the bread slips easily out ... sounds perfect! It looks to be of good quality, not cheap. 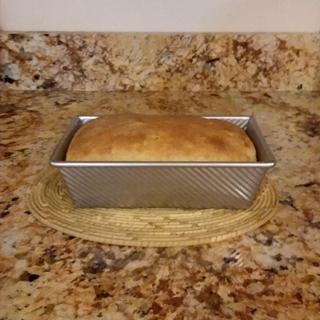 I have a USA loaf pan and love it! Every loaf comes out beautifully baked and slides right out of the pan. I have a few platinum pieces and they are so easy to clean, so when I needed a loaf pan this was a no-brainer. We were gifted one of these pans for our wedding and it is my favorite because nothing sticks to it! No need for non stick spray or oil. Needed this exact size loaf pan. Ranked one of the best. I have the Platinum Professional round cake pans and they have upped my baking game considerably. I have a son with food allergies and need to bake our bread from scratch and knew I wanted these pans to make the best possible loaves. A second pan for when I bake 2 loaves at the same time. Quality product made in the USA. Needed a new one and I like my current Sur La Table bakeware that I have. I need this for yummy baking purposes! I needed a good quality loaf pan. Seemed high quality, good price. Love the platinum line. I purchased several pieces to bake with during Christmas. professional grade bread pan and bread slides effortlessly from the pan. Made in the usa. Xmas present for my daughter - I love mine! The USA Pan brand makes great quality bake ware that holds up to heavy use. I chose the platinum loaf pan because I have and often use, the platinum sheet pans and like them very much. They are very easy to wash. Came with a high rating. How come the loaf pans don't come in 9 x 5 1/2 size? BEST ANSWER: Some companies don't carry a very large variety of pieces. For this reason, loaf pans don't come in multiples sizes. Additionally, some companies simply don't find it practical to make multiple sizes of the same piece. what is the warranty on these Platinum Professional pans and sheets? Thanks!